The Eastern Fjords in Iceland are my favorite part of the country for hiking. The weather there is mild and often warmer than around Reykjavík, it’s nicely green and the landscape is so diverse that you feel like you hike by the speed of light. 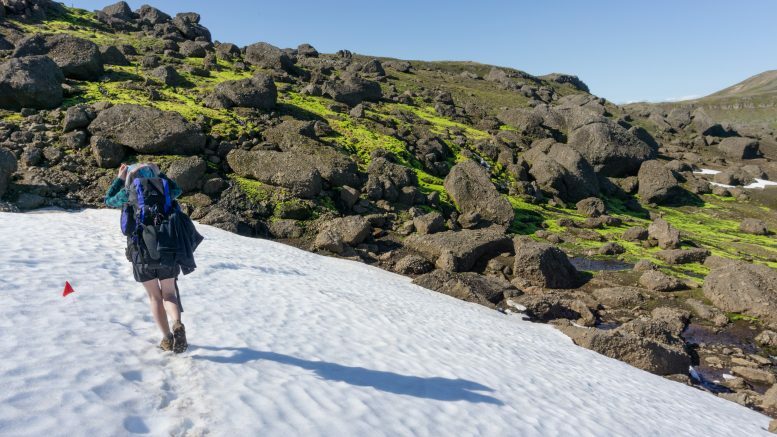 In the northern part there is an excellent hiking area called Víknaslóðir, “The trails of the Inlets” or more precisely “The trails of the Deserted Inlets” as most of the farms within the area were abandoned in the 1940s. Víknaslóðir is not a trail with a set route as is the case with the Laugavegur or Reykjavegur. It’s more like an area with many hiking trails, which you can freely combine or bypass. We did pretty much the longest, the most logical and the most commonly hiked variation in the area. Starting from Seyðisfjörður, we went across Húsavik (campsite – not the town on the Nth Coast) and Bakkagerði to the car park by road no. 94 where the hike to Stórurð starts. It was about 80 kilometers long and it took us 5 days to walk. You can do longer variations but you’d walk in circles or do there-and-back side trips. This wouldn’t necessarily be a bad thing as there is more than enough to keep you entertained in the changeable landscape. It’s exactly the same map. The resolution of the sold one is a bit better of course, but it doesn’t have any additional detail or landmarks, it’s simply printed on a larger piece of paper. GPS could be useful in case of bad weather as the poles are hard to see in the fog and there isn’t always an obvious track to follow… there are also many sheep tracks which could be easily followed by accident. From Bakkagerði to Seyðisfjörður it’s pretty much this GPS log. Further to the Stórurð car park by the road of 94 (n. 8 on the map) it’s this one. From June to August, there are daily buses from Egilsstaðir to Bakkagerði and Seyðisfjörður. The buses go literally once a day (situation in 2017). Ask the driver and she can drop you off whenever you like. We managed to hitchhike to Seyðisfjörður and from the Stórurð car park too. 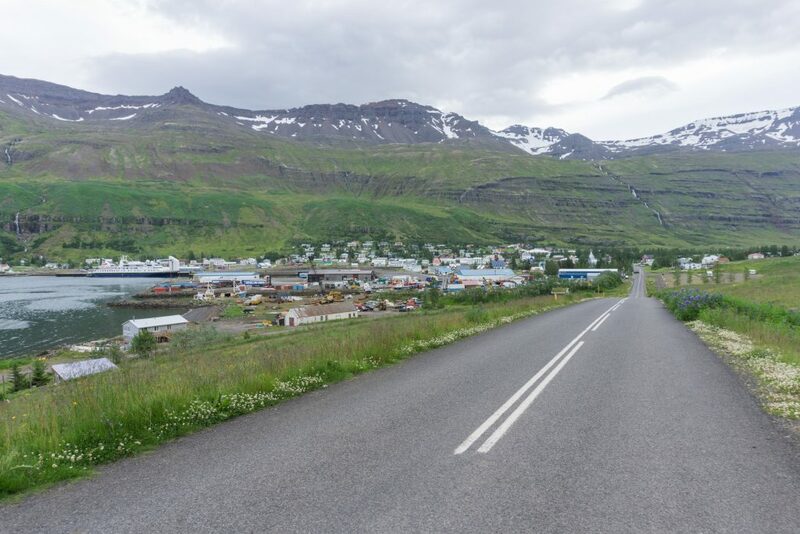 It wasn’t a big problem since many tourists are heading to Seyðisfjörður to jump on a ferry and Bakkagerði is a popular Icelandic summer house village. There are 3 mountain huts with campsites along the way. If you fancy a hut, you should book it in advance in case you meet a big group. More information about the huts are here. For ordinary hikers who want to camp, the campsites don’t offer anything special. Moreover the campsite at Breiðuvík is very exposed with no nature barrier to hide behind. We asked for some water while we were passing through and were told that the water is only for guests and if we wanted some, we had to pay for a campsite first. So we took some from a stream 50 metres away. 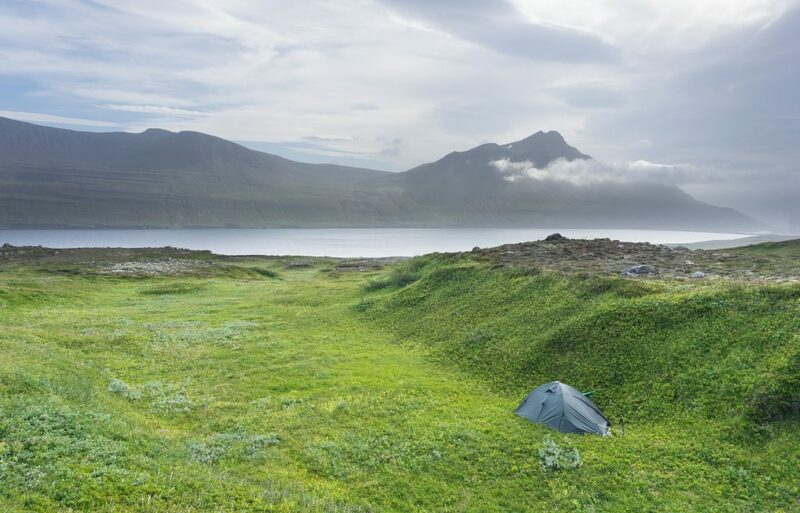 In contrast there is a good campsite in Bakkagerði – cheap by Icelandic standards with plenty of sockets and cooking facilities and a [coin operated] shower. Apart from Bakkagerði and Seyðisfjörður, there aren’t any shops or groceries on the way. The groceries in Bakkagerði and Seyðisfjörður are small and expensive. If you can, buy food in Bónus in Egilsstaðir. In the huts they can provide you with food if you order some in advance. There are cooking facilities at the campsites. You can use them only if you stay there. There is plenty of water around in the form of streams. You don’t need to carry too much on you, just check the map and use a common sense while drinking from the streams (avoid warm or sulphuric smelling streams). 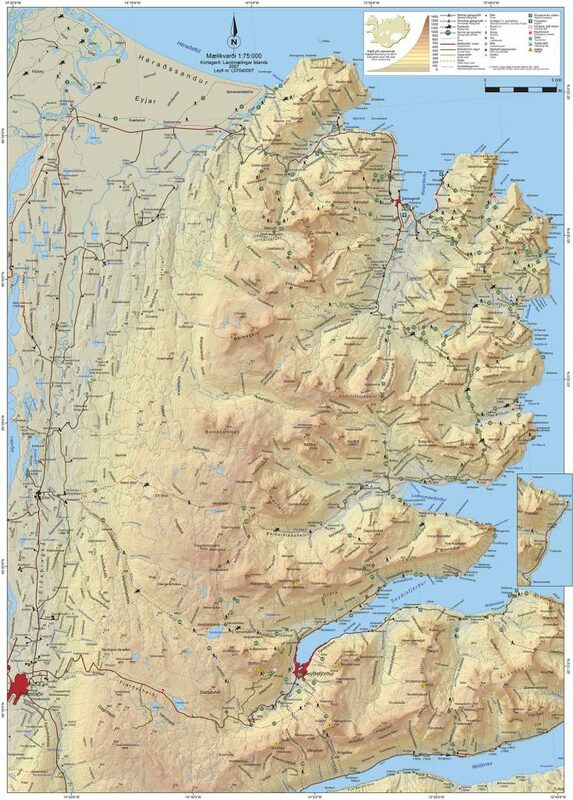 The Eastern Fjords are very different from the rest of the country. The fjords are deep with plenty of streams and waterfalls, the valleys are green with lots of wild flowers and even though the day is clear, there is always some fog sitting somewhere, waiting to surprise you in the mornings or at higher attitude. Multiple farm ruins give the whole hiking experience a kind of a spiritual level – you know that people lived there and for many years they were trying to cultivate the land. All of them are gone now but if you look carefully enough, you can often see marks of their old presence. Most of the abandoned farms are in ruins, only a few of them were rebuilt into summer houses. If I should recommend only one trail from Iceland, I’d recommend Víknaslódir. Why? Because it’s so remote, not very well known but still very well marked and easily accessible. There is a lot of water so you almost don’t have to carry any. Your chances for good weather are potentially higher than other parts of the country. All these things make the trail quite unique within Iceland, as hikes along the Ring Road are usually busy while hikes in the mainland are more difficult to access without a car are often lacking water. If you fancy even more information about the hike, you can continue to my hiking report. Be the first to comment on "Víknaslódir Trail, Eastern Fjords, Iceland: Essential Information"